As news spread regarding the release of the new 2013 Community Rating System (CRS) Manual, interest was expressed by local and regional CRS individuals to formally meet regularly to discuss the new manual changes. In June 2012, a CRS Users Group was formed. 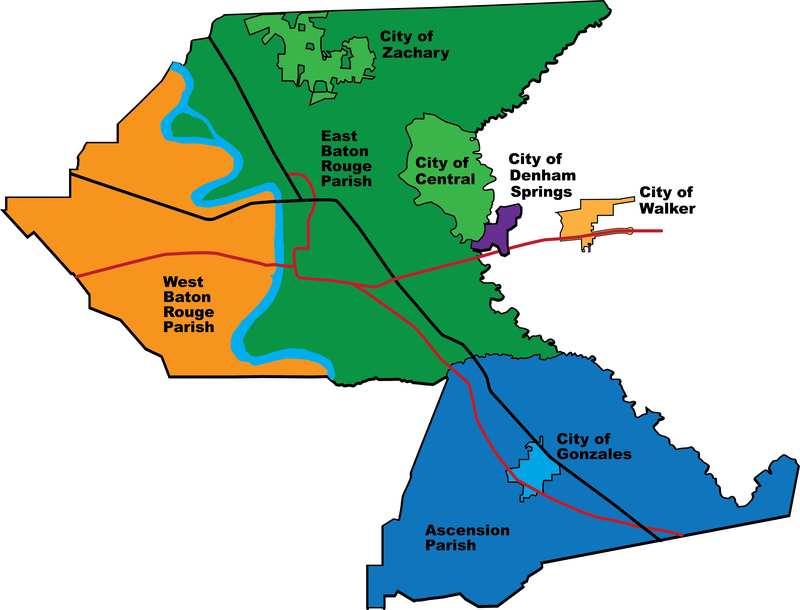 Later named the Capital Region Area Floodplain Task-force or CRAFT, the group is composed of the following communities: Ascension Parish, East Baton Rouge, West Baton Rouge Parish, City of Central, City of Denham Springs, City of Gonzales, City of Scott, City of Walker, and the City of Zachary. The Louisiana Department of Transportation and Development (DOTD), ISO and the Governor’s Office of Homeland Security and Emergency Preparedness (GOHSEP) are also often in attendance at CRAFT meetings. These meetings are held monthly and are facilitated by The University of New Orleans’ Center for Hazards Assessment, Response & Technology (UNO-CHART). Meetings are currently rotated between CRAFT member offices and presentations related to the various activities of the CRS Program are normally made by group members or guest speakers. Program for Public Information (PPI): During the course of several meetings, members of CRAFT agreed to pursue a multi-jurisdictional Program for Public Information (PPI) as described in Series 300, Activity 330 of the 2013 CRS Coordinator’s Manual. The purpose of the PPI is twofold; members seek to reduce risk in their communities while at the same time seek to lower flood insurance premiums for their residents.